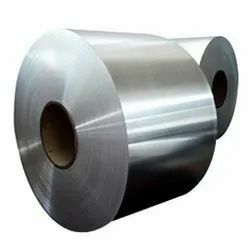 Pioneers in the industry, we offer stainless steel coil, stainless steel coil 202 grade, stainless steel coil 430 grade, stainless steel coil 304 grade, stainless steel coil 304l grade and ss slitting coil from India. We are manufacturer stainless steel coil. 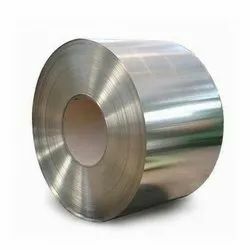 Being a leading firm in this industry, we are deeply engaged in offering a high-quality range of Stainless Steel Coil. 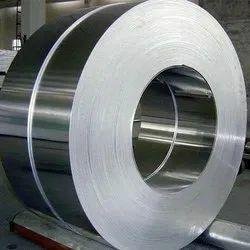 we are manufacturing and supplying stainless steel sliting coil 202 grade. this ss sliting coil is very standard products. this is my largest one product. this products capicity is very standard. ss sliting coil products supply all over in india as well as all country. We are manufacturing in premium quality Stainless Steel 202 Grade Coil. The most popular applications for Stainless Steel Coil 430 Grade are in domestic appliances and decorative trim. These alloys are used in a variety of interior and exterior trim applications where corrosion resistance is more important than high strength. We hold expertise to offer a range of Stainless Steel Coil Grade 304. The offered range includes Stainless Steel Grades 309 and 310. The entire range of these products are verified on set industrial parameters in order to deliver quality-approved products to the customers. Customers can avail these products at highly reasonable price range from us. We are involved in offering a qualitative range of SS Coil 304L. Our premium-grade SS Coils, Sheets and Plates we offer are preferred in various industries. These SS Sheets can be availed in various grades, specifications and sizes. Moreover, we also customize these SS Coils in accordance with the requirements detailed by the clients. Usage/Application Construction, Cutlery, Table, Utensils, Kitchenware, etc. Slitting is a process used to cut a Master coil of metal into a number of narrower coils as the master coil runs through a set of slitting knives. During the slitting process, the metal coil can be broke for weight and packaged to your specifications. 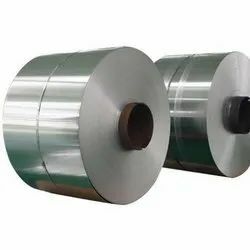 ADI KALP STEEL OVERSES is a leading stockholder and supplier of stainless steel slitting Coil in complete range of thickness, width and length. 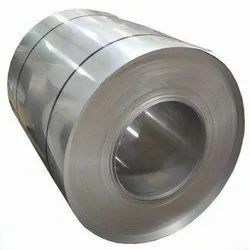 Metline is manufacturer and supplier of stainless steel slitting coils with 20 years experience of supplying to a great variety of end users from different fields. The SS 316 Coil is designed and supplied by Adikalp Steel Overses in affordable rates. These coils are accessible in a wide range of surface finishes, sizes, and dimensions. This is also offered by them in custom made length. The grade of 316 provides better corrosion resistant, good elevated temperature strength and that made them suitable for use in various applications. Generally, this grade meets various standards and is the most used grade of stainless steel. The toughness of SS COIL 202 GRADE at low temperatures is excellent. It is one of the most widely used precipitation hardening grades, and possesses good corrosion resistance, toughness, high harness, and strength. ADIKALP STEEL OVERSES is India’s well known manufacturer, supplier and exporter of Stainless Steel COIL. We supply SS 430 coils of different shapes and sizes and with different specifications as per the customers requirements. Our organisation is involved in manufacturing, exporting, trading and supplying a extensive range of Stainless Steel Sheets and plates to our clients. Used in various industrial applications, these plates are manufactured by the experienced professionals from high-quality raw material and advanced technology. 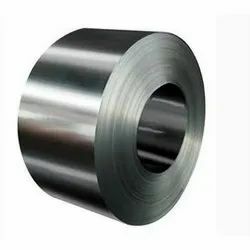 we are manufacturing and supplying stainless steel sliting coil 409 grade. this ss sliting coil is very standard products. this is my largest one product. this products capicity is very standard. ss sliting coil products supply all over in india as well as all country.